The other day I mentioned receiving my blog book from Blurb. A few of you had questions about the process, time involved, etc. Please bear with me as I try to answer them from my not so deep pit of knowledge. I have ordered two books from Blurb. 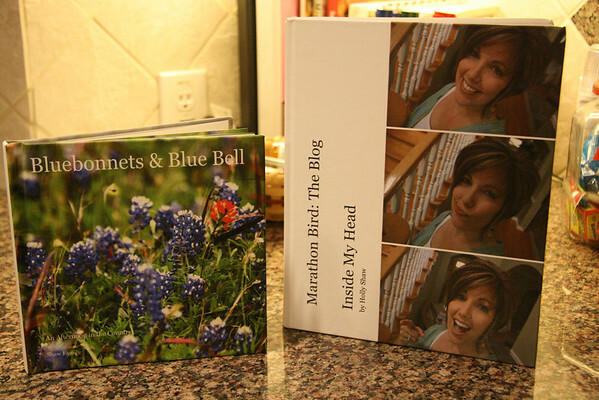 One is a 7X7, approximately 20 page record of our day trip to see the bluebonnets this spring. The other is my blog. Yes. It's a doozie. It's 8X10ish and a whopping 350ish pages (I am too lazy to go check the exact number). Since I am terribly behind on my scrapbooks, it was very important to me to have a printed record of the last year and a half in my hot little hands. The process is relatively simple. Once you set up a Blurb account, you are asked to download their BookSmart program. There is a wizard that takes you through each step once you decide what type of book you want to make. Then your photos and/or blog posts are "slurped" so you can start your book. I did not allow myself to get too involved in making each page original or change up the layouts often. You can do this easily, but it does take time. My goal was to get it done, not get lost in the process, especially with a year and a half of blog posts. Most of the layouts look like this. Small pictures along the edge and the post in the middle. In the early stage of this I fiddled with the layouts and tried different looks. Pictures at the top or bottom, etc. I got over that quickly. Otherwise I would STILL be tweaking it. I ended up staying with the default (basic) layout for most of the posts and I told myself to be fine with that. I am. I think I spent a few hours in the evening over a weekend and then ordered it on a Monday. I made the font larger and made sure the pictures were aligned in their boxes, that was about it. Since I kept it basic, it did not take that terribly long. I actually spent much longer working on the smaller book. I changed each page layout and was a bit more creative with that one. Key word being bit. I am pleased with the results of both books. Annelise has enjoyed looking through them, like a scrapbook, and that has warmed my heart (and softened my scrapbook guilt). 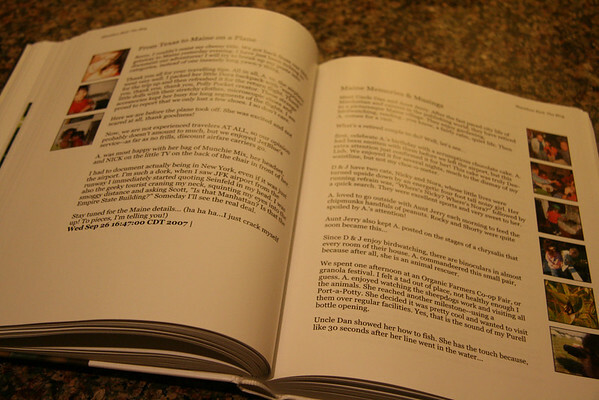 You can choose a softcover, hardcover with a dust jacket, or they have a new feature called image wrap. 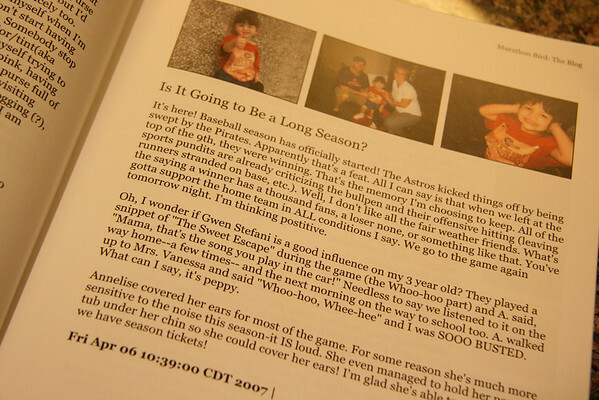 The photos and words you use for your cover are printed right onto the cover. Nifty. Since dust jackets are annoying, I went with the image wrap. I don't know much about digital scrapbooking. Okay, I don't know anything. However, this seems like it might be similar. 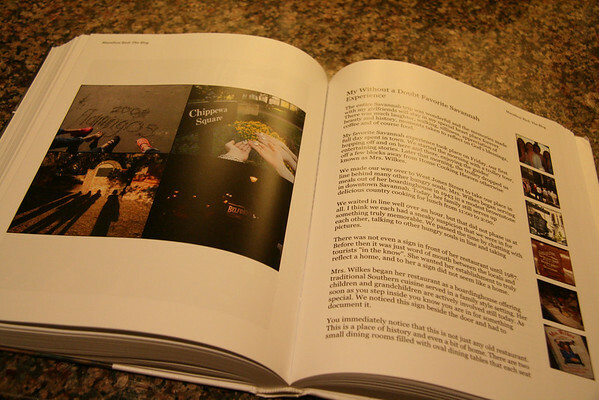 I think if you have a particular event, like a vacation or holiday, making a Blurb book would be a fairly easy project. If you want to print your blog, and keep it fairly basic, the process is simple and quick. The smaller book was in the $25 range, plus shipping. The blog book was, well...more. To me, the end result of having our memories bound and sitting on our shelf (or kitchen counter, whatEVER) is priceless. 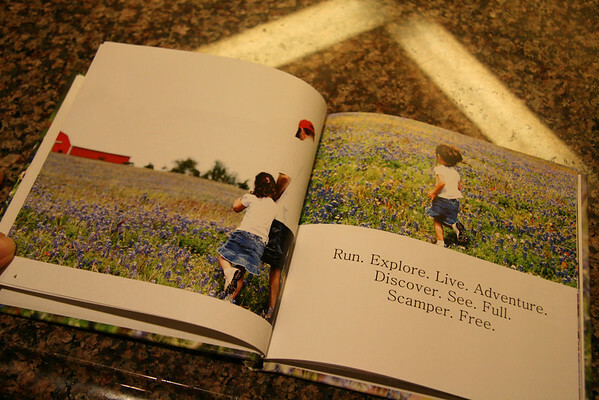 I don't want my blog or these Blurb books to replace my scrapbooks, but they certainly are a nice addition. Have you made a photo book or printed your blog? Do you think you will? Any tips to share? thanks for sharing the details. I have seen these on other sites but no one ever really goes into detail about them. I have to just decide what I want my book to be about and then get on it! Yours look great! Gorgeous! I've started, but it took too much time so I abandoned it. Now I want to go back and get it done. Thanks for telling us more about it. I did finally get the software to "slurp" my blog. I worked on it a couple of hours so far. I don't have as much journaling as I do photos, so I am working more with the layouts. My one year blog-iversary (yep, made that up!) is in August. So I think I will wait until I have posted up to a year before sending it in. I love how your books look! My question is how many posts go into a book? Does it just add the pages automatically to get all your posts in? Autumn: The program slurped all of my blog posts automatically, which was something like 370 or something ridiculous like that. I deleted several that were just giveaway info., menu plan monday, or just way too silly--not really much content to some of them. I would like to print my blog again for next year, but I wonder if you can select posts between certain dates or something. I'll have to check it out. 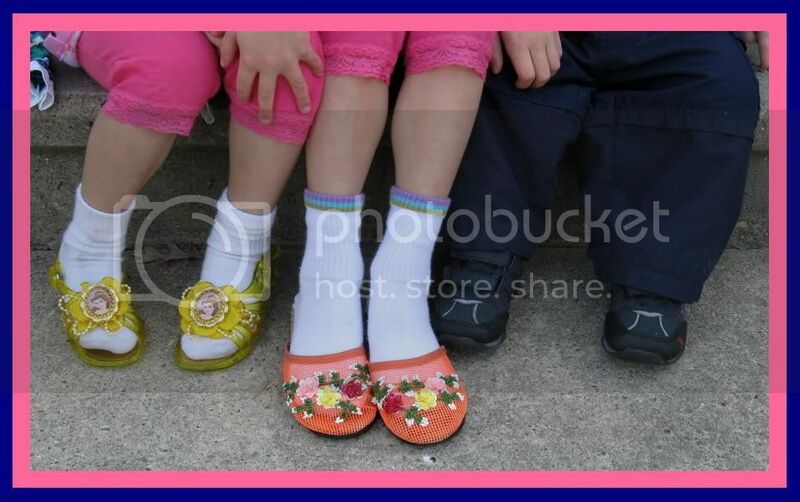 When you create a photo book you download and drag your photos & add text page by page. Fun stuff! I love seeing them. I worked on mine in December and it took forever! I want to print out one a year of the blog. I showed mine too - it was fun to get ideas from people. thanks.